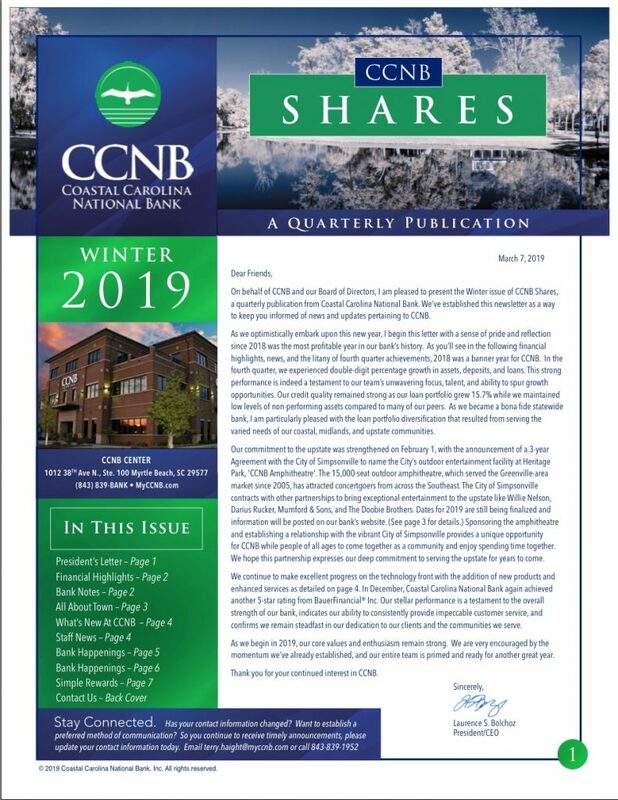 Welcome to ‘CCNB Shares,’ a quarterly publication from Coastal Carolina National Bank. For your convenience, each issue will be archived on this page for future reference. If you would like to receive a paper copy of our newsletters, please contact Terry Haight and provide your name and mailing address. Thank you for your interest in CCNB. Visit our investor relations page for earnings and annual reports.